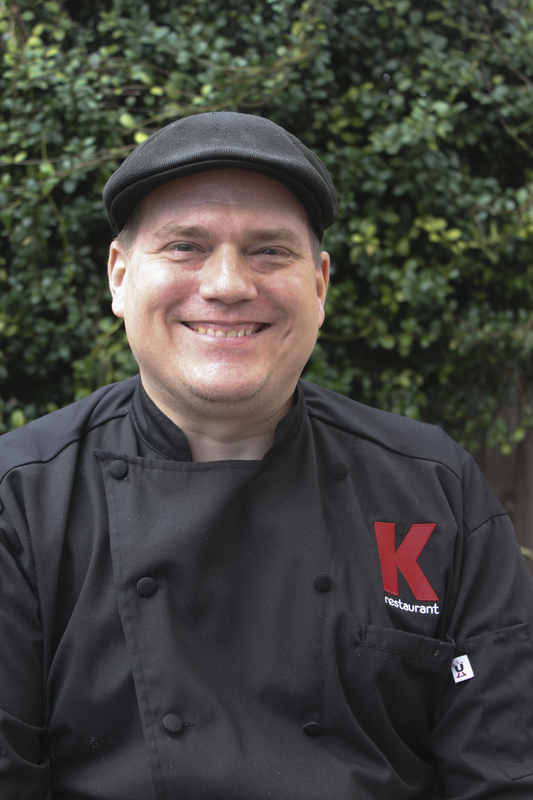 K Restaurant has recently been purchased in July by the new owner, Chad Phelps, who plans to keep the same great food and service the community knows and loves. Same concept and values of farm to table. Phelps comes from a culinary arts and business background. He retired after 21 years in the Navy as a Chef on submarines. He moved to Florida in the 1990s and began working at Florida Hospital Celebration as an Executive Chef and won awards for his vegetarian recipes. Phelps furthered his career by owning and operating a catering business. He spent the last 13 years teaching and creating a culinary curriculum for federal prison program to teach prisoners culinary skills to be able to get a job after prison. Chad Phelps loved visiting K Restaurant as a customer. Once he heard about the sale he knew he wanted to continue the great work the previous owner started. I was born in Gary Indiana and moved to Florida at 10 years old. I started to work in fast food and from there into quick service at Disney and Universal. After a few years I left cooking to work with local rock/ metal bands managing, promoting and booking local and national talent. After a few years out of the kitchen I had to get back into cooking and in 2008 Chef Robert Walker hired me as a line chef at Harmoni Market in College Park. This moment changed my life! Chef Walker believed in me and gave me the freedom to create my own specials and menus. When Chef Walker opened the Boathouse in Winter Park, he brought me with to be a part of an amazing culinary team alongside Sous Chef Nat Russel. While working at the Boathouse, I attended Le Cordon Bleu Orlando and while in school I secured a spot on the school culinary competition team under Chef Klaus Friedenreich. After school I accepted a line chef position at the Citrus Club in Downtown Orlando. Over the next 6 years I worked with Chef Chris Guzman and we raised the food program by nearly 25 % placing top 5 of the Club Corp locations. 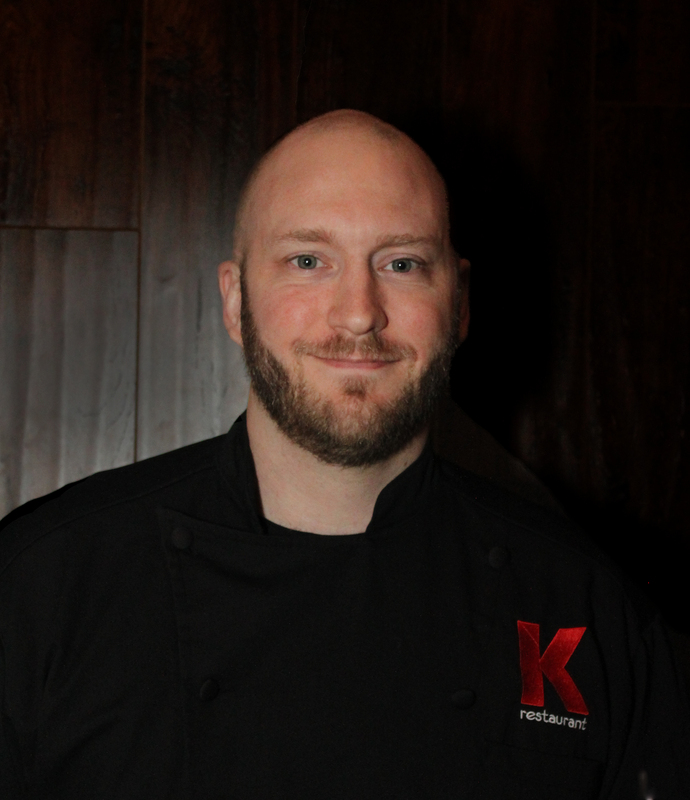 In November 2017 I accepted a position at the famous K Restaurant in College Park as a Line Chef. 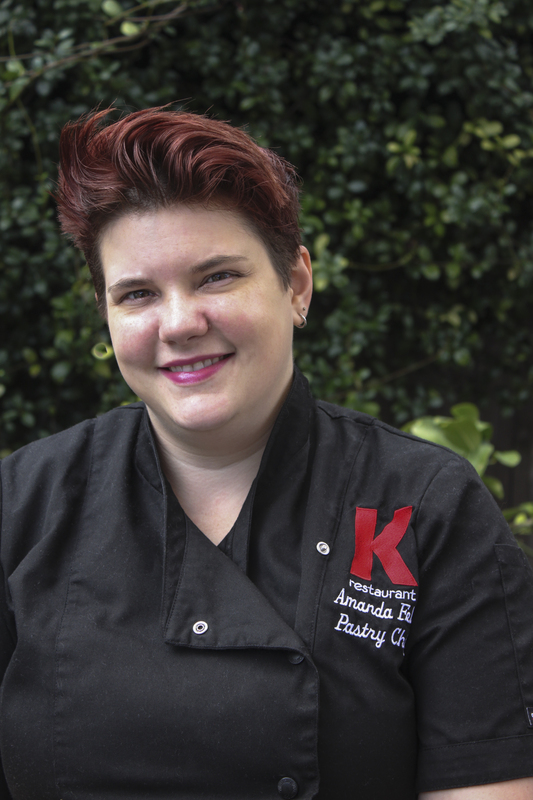 In December 2018 I accepted the Sous Chef position, and look forward to bringing K Restaurant into a new era while maintaining and respecting the core values already set in place and expanding upon those strong roots. I knew in high school that I belonged in the kitchen. I was always watching the food network, trying to recreate what they were making. So as soon as I graduated high school, I moved to Pittsburgh to attend Le Cordon Bleu. I graduated with an associate in Culinary Arts, and moved to Florida to start my internship at Disney in 2006. Since then I have worked at a handful of restaurants/ bars on Park Avenue till I landed at the Rusty Spoon. Where Chef Kathleen Blake really ignited my passion for the kitchen again. After honing my craft with KB for 3 ½ years, I became a mom to a beautiful baby girl! While taking care of my newborn baby I started experimenting and researching the Pastry Arts at home. Once I started at K Restaurant, I knew I really wanted to try to incorporate more seasonal items into the dessert menu, while trying to use a few savory ingredients as well. My goal is to keep my desserts fun and playful all while reminding you of your Grandma’s baking! Austin Jecko started his career as a bartender at age 18 and has worked on Park Ave and Restaurant Row. While living in College Park his curiosity for the converted house on the main street captured his interest. Jecko started at K Restaurant as a bartender when it served only beer and wine. 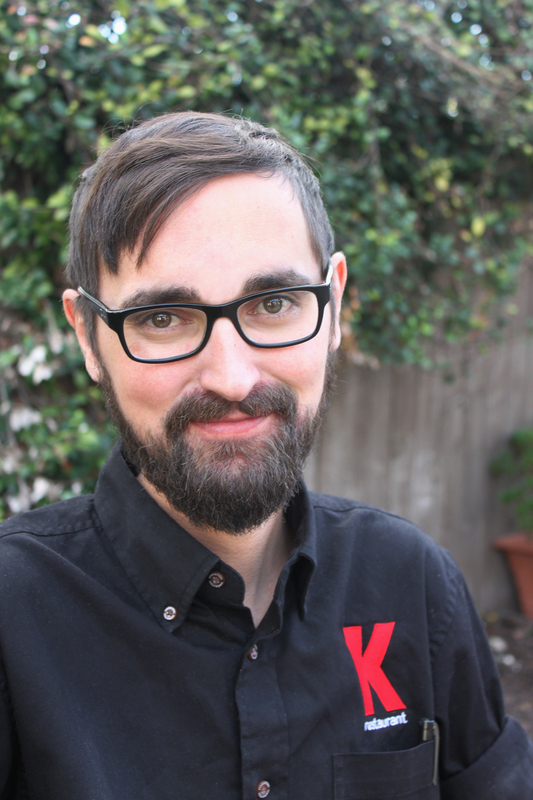 As the Front of the House Manager for the past 4 years, he stated that the atmosphere has pushed him to grow and learn more about beer and wine. Jecko's goal for K Restaurant was to get a full-liquor license to be able to demonstrate his creative and experimental side for craft cocktails. As K Restaurant achieved that goal, Jecko enjoys the ability to make spirit mixtures as a drink chemist to make new creations taste amazing. Jecko expressed the K staff is like a family and it is rare to find a group of people who work well together. He loves being able to work alongside his work family and the talented chefs in the kitchen. He hopes to continue to cater to the community and give the best dining experience Orlando has to offer.